Michelle Vaith originally gave this speech at CCRF’s Thanks to You event in September 2018. After 859 scary, grueling and extremely stressful days of cancer treatment, our daughter Brooklyn made it to the finish line. Brooklyn was diagnosed with blood cancer at just 2 years old and finished treatment for high-risk acute lymphoblastic leukemia (ALL) just in time for her fifth birthday. After living through such long-term trauma, it feels incredibly strange to start acting like Brooklyn is a ‘normal’ kid, and like our family can just go about a ‘normal’ family life now that cancer treatment is behind us. Sometimes it still feels irresponsible to bring Brooklyn to a park or to the grocery store. We hesitate to let her touch a door handle or a railing when we are not in our home. We always wash our hands when we come home from anywhere, even if it’s our own backyard. Maintaining a healthy living environment was one thing we as parents could provide for our daughter to improve the likelihood that she would successfully make it to the finish line of cancer treatment. There was so much happening that was out of our control that we became obsessive about controlling the things that we could. One of the first times we brought Brooklyn, our first child, to the doctor, she was diagnosed with cancer. Two and a half years later, after completing treatment, Brooklyn woke up in the middle of the night with croup. We called the pediatric oncologist on-call and took her in to the Emergency Room, as we are accustomed to doing. We had to ask the ER doctor if it was appropriate to bring her into the ER now that she is off treatment. Brooklyn is our first child, and we don’t really know what normal families do. Brooklyn’s body recovered from the illness in a few days, and it was an absolutely amazing feeling. We have a lot to learn as we re-enter into this new, cancer-free life. We are still so afraid of cancer, and extremely anxious. We have been conditioned to notice and worry about every tiny change in our daughter. We live every day in fear of leg pain, fatigue, pale lips and tummy aches. When Brooklyn gets bruises, we worry that her platelets are low. When she sleeps longer than usual, we fear her hemoglobin is tanking. It is impossible to feel truly relaxed and safe. We are forever broken. All we can do is hold onto the good news we have been receiving at checkups, and slowly we will start to feel more comfortable and confident again. We look forward to many years from now when our confidence outweighs our worries. We are worried because the first year after treatment presents the highest occurrence of relapse. We are also worried because two-thirds of childhood cancer survivors suffer long-term side effects of treatment, ranging from bone & joint pain, learning disabilities and nerve damage to infertility, heart damage, limb loss and hearing loss. 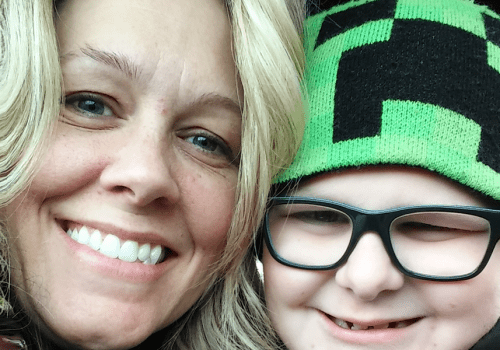 Brooklyn has lived at half-energy for so many years while on chemo that it’s hard to imagine how she must be feeling with her climbing hemoglobin. She is noticeably stronger at gymnastics and keeps up better while running with other kids. She got to play t-ball this summer and just started swimming lessons. 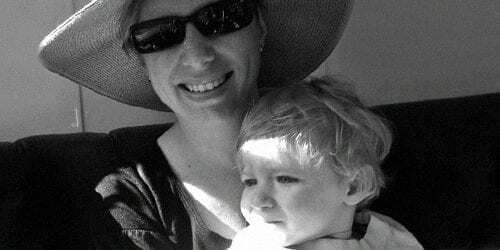 She is a teacher to her 2-year-old brother, Thomas, and sometimes tries to be his mother. Brooklyn was in the thick of the first horrific stage of cancer treatment when Thomas was born. Due to the pain she was in and drugs she was on at the time, she had no interest in anything, – including her newborn brother. The day Thomas was born was one of the best and most heartbreaking days of my life. Before diagnosis, Brooklyn had been excited to be a big sister, but by the time Thomas was born she was so far into treatment that she wouldn’t look at him, hold him on her lap, or go anywhere near him. Now, seeing the two of them playing and laughing and learning together is absolutely heart-warming. 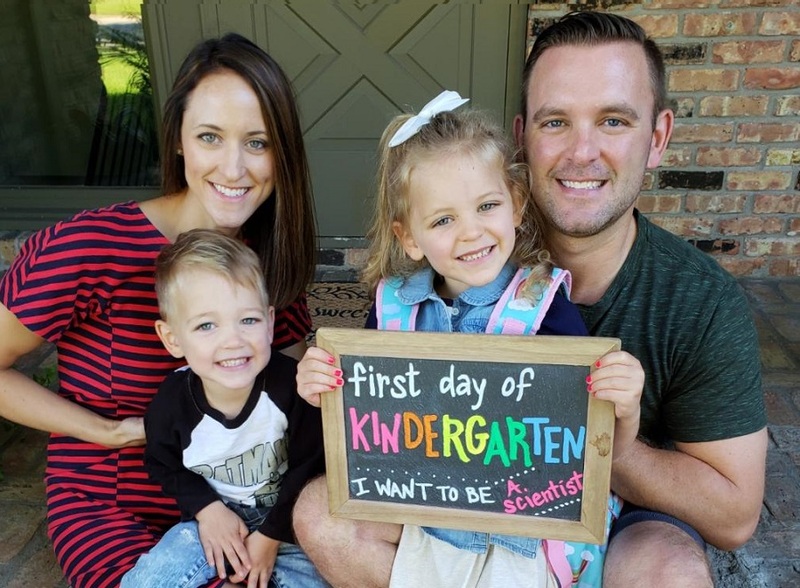 Brooklyn is also so smart – she spent a disproportionate amount of her toddler life with adults, and is so ready to get into Kindergarten this year to begin her mission to become a doctor or scientist. She has such a bright and shiny spirit and is once again enthusiastic about experiencing the world around her. Over the 859 days that Brooklyn was undergoing cancer treatment, we as parents have felt severe emotional pain, desperation, weakness and utter devastation. We have learned that people, especially children, can endure so, so very much. We have also felt immense pride, hope, love and strength as we have watched our toddler show us and many others how valuable every breath of life is, that a positive attitude can heal even the deepest, darkest pain and that miracles are truly possible. We have felt unbelievable gratitude for the love and support we have received from our family, friends, community and strangers who pray for us constantly and cheer for Team Brooklyn. We are so impressed with the progress that is being made to develop better cures for leukemia, and many other types of childhood cancers. We are grateful every day for the doctors, researchers and especially for the donors who have provided them with the money they need to keep pushing forward in their search for better cures. We have seen the very best side of humanity in the acts and words of kindness that have lifted us up each and every day. And now, finally, after 859 days of cancer treatment, we get to feel THIS. THIS is what it feels like to get to keep our child even though, not too many years ago, she would have been gone forever. THIS is what a second chance feels like, and we intend to live it to its fullest. Michelle is the mother of two, Brooklyn and Thomas. 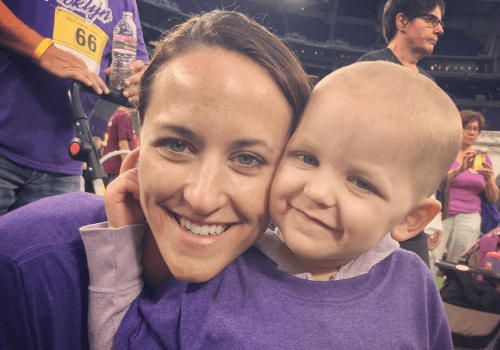 Brooklyn was diagnosed with acute lymphoblastic leukemia (ALL) when she was just 2 years old. To read more about Brooklyn, check out Tough Beyond Her Years: Brooklyn’s Story.  Every $1 donated helps researchers secure $18 in additional funding to make groundbreaking discoveries. Help us find better treatment for kids with leukemia.